What do SAO, Log Horizon, Overlord, and so many other stories tell us about gaming? How can we convince people that don’t play that gaming matters? We’ll examine these questions and more to see what our favorite creators are trying to tell us about life and gaming. Anime is available on legitimate websites in US within hours of airing in Japan and some anime are dubbed just a few weeks after the release. What streaming sites offer the best value? 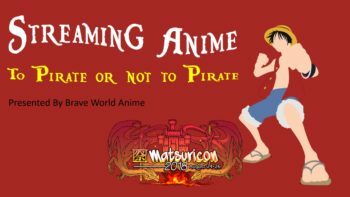 Are there any reasons to justify pirated anime when content is available at a low cost on many sites? Join us as we discuss these topics and discuss shows you can watch on each channel. Central Ohio Heart Walk is August 25th. This event raises awareness for heart conditions. It also raises money for research in this field. The event falls on the Saturday of Matsuricon. McFerson Commons is just a couple blocks from the Hyatt. I created a team for our group and would love people to join me at this walk. There are 1 and 3 mile courses for this walk. Japanese light novel names are ridiculous. Can you identify which names are real and which are fake? The entire audience will have the opportunity to play along. 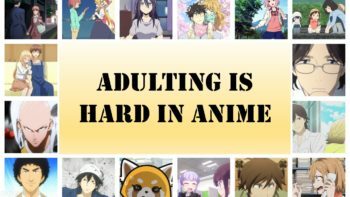 Life does not end after high school, so why do so many anime focus on this period of their characters’ lives? 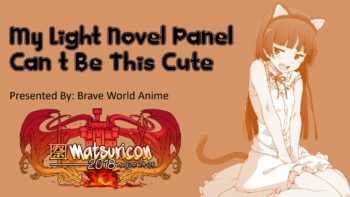 In this panel we will focus on anime that show adult characters experiencing romance, raising children and earning money.